While evidence mounts in support of revised carcinogenicity testing guidelines, the number of Carcinogenicity Assessment Documents (CAD) submitted to the ICH S-1 expert working group fell below expected levels. After extending the submission period by two years9, the expert working group (EWG) will meet in June of 2017 to review the conclusions of drug regulatory agencies on the viability of excluding some pharmaceutical agents from the requirement for a two-year rodent bioassay. The publication of new Step 2 Guidelines is now expected in November of 2019, with Step 4 Guidelines to follow in November of 202010. In 1991, regulatory authorities in the USA, European Community (EC), and Japan established the International Conference on Harmonization of Technical Requirements for Registration of Pharmaceuticals for Human Use (ICH). The ICH's mandate was to establish and maintain standardized, international guidelines for evaluating potential human health risks of pharmaceuticals, including genotoxicity, immunotoxicity, and reproductive toxicity. On November 14, 2012, a "Concept Paper" proposing changes to the S1: Rodent Carcinogenicity Studies for Human Pharmaceuticals1 was endorsed and approved by the ICH2-4, with the goal of introducing a more comprehensive and integrated approach to addressing the risk of human carcinogenicity of pharmaceuticals. The proposed changes are expected to clarify and update, without compromising safety, the criteria for deciding whether the conduct of a two-year rodent carcinogenicity study of a given pharmaceutical would add value to this risk assessment. 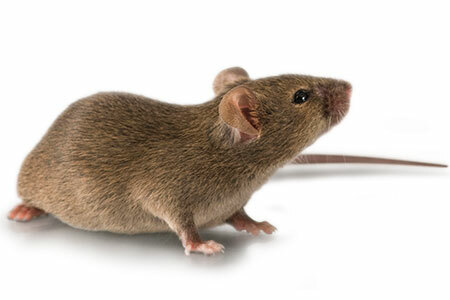 The current ICH carcinogenicity testing guidelines (ICH S1) require a lifetime (two-year) rodent bioassay, usually conducted in rat models, plus an additional lifetime or short-term assay in a second species, typically the mouse3. However, recent retrospective analyses of multiple carcinogenicity datasets have indicated that, in the presence of other sufficient data, the lifetime rat bioassay does not always provide further value to the carcinogenicity risk assessment5,6. As a result, the proposed carcinogenicity testing guidelines are intended to clearly identify situations in which the two-year rodent bioassay is, or is not, required during the safety testing process1. These updated guidelines have the potential to transform how pharmaceutical carcinogenicity evaluations are conducted. Ultimately, the industry could see a significant decrease in the volume of rat models used in such studies and a vastly reduced timeline to market authorization7. Datasets evaluated by the ICH S1 expert working group (S1 EWG) suggest that, in certain cases, knowledge of pharmacologic targets and pathways, together with toxicological and other data, can provide sufficient information to anticipate the outcome and risk assessment value of two-year rat carcinogenicity studies for a given pharmaceutical agent. Consideration of this information is hypothesized to provide sufficient information to conclude that a given pharmaceutical presents a negligible risk or, conversely, a likely risk of human carcinogenicity without conducting a two-year rat carcinogenicity study. Under the proposed ICH S1 guidelines, sponsors of such pharmaceuticals would provide Drug Regulatory Agencies (DRAs) with a CAD in support of omitting the two-year bioassay. The CAD would address the overall carcinogenic risk of the investigational drug as predicted by the endpoints and a rationale for why the conduct of two-year rat carcinogenicity studies would not add value to that assessment. Evaluation of these proposed changes is necessary to justify proceeding with revision of the ICH S1 guidelines. A prospective evaluation period was set, wherein Sponsors were strongly encouraged to submit CADs to DRAs for all investigational pharmaceuticals with ongoing or planned two-year rat carcinogenicity studies. As of March 2017 there have been 37 CADs submitted. These waiver requests are not actually granted during the evaluation period, but rather used to test the hypothesis underlying the proposed new ICH S1 guidelines. Submitted CADs will be compared to the outcome of the two-year rat carcinogenicity studies to evaluate the accuracy of their predictions. Data from this prospective evaluation period is critical to informing the S1 EWG's effort to update the current paradigm of assessing the carcinogenicity of small molecules as described in ICH S1 guidance8. DRAs from each region independently reviewed the submitted assessments to evaluate the degree of concordance with Sponsors and between regulatory regions. 1. ICH. Concept Paper S1: Rodent Carcinogenicity Studies for Human Pharmaceuticals. (2012). 2. ICH. The need for carcinogenicity studies of pharmaceuticals. Guideline S1A. (1995). 3. ICH. Testing for Carcinogenicity of Pharmaceuticals. Guideline S1B. (1997). 4. ICH. Dose Selection for Carcinogenicity Studies of Pharmaceuticals. Guideline S1C (R2). (2008). 5. Reddy, M. V et al. An evaluation of chronic 6- and 12-month rat toxicology studies as predictors of two-year tumor outcome. Vet. Pathol. 47, 614-29 (2010). 6. Sistare, F. D. et al. An analysis of pharmaceutical experience with decades of rat carcinogenicity testing: support for a proposal to modify current regulatory guidelines. Toxicol. Pathol. 39, 716-44 (2011). 7. FDA. ICH; Proposed Change to Rodent Carcinogenicity Testing of Pharmaceuticals; Request for Comments. Fed. Regist. 78, (2013). 8. ICH, Proposed Change to Rodent Carcinogenicity Testing of Pharmaceuticals - Regulatory Notice Document, Revised 22 January 2016. 9. ICH, The ICHS1 Regulatory Testing Paradigm of Carcinogenicity in rats - Status Report, Dated 2 March 2016. 10. ICH. S1 EWG Interim Work Plan Update (9 August 2016). 11. ICH. Business Plan: S1: Rodent Carcinogenicity Studies for Human Pharmaceuticals, Dated and endorsed by the Steering Committee on 14 November 2012.